Cardiff manager Ole Gunnar Solskjaer said he left the Sky Bet Championship club because of a "difference in philosophy" with owner Vincent Tan. The Norwegian's departure after only eight and a half months at Cardiff was announced in a club statement on Thursday afternoon following talks in London on Wednesday between Solskjaer and the Bluebirds' hierarchy. 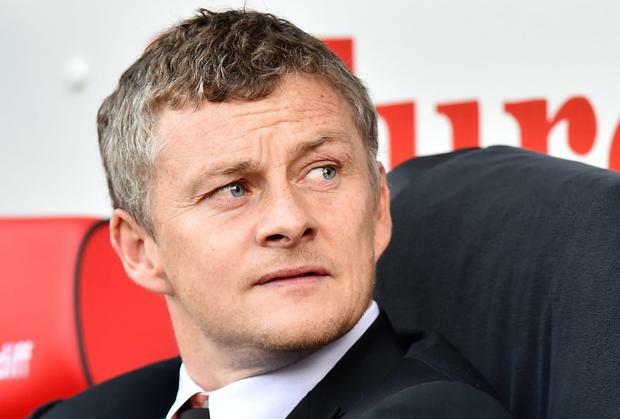 The two parties said they parted on amicable terms but Solskjaer made clear it was him who decided to step aside after Tuesday night's 1-0 home defeat to Middlesbrough had seen them fall to 17th place in the Championship. "He has my full respect and I really wish him all the best in his pursuit of making this football club successful. "However, our difference in philosophy on how to manage the club made me decide to step aside and allow the club to move forward in the direction Vincent wants. "I leave the club with some very talented players and want to thank them for their efforts and hope to see them challenge for promotion this season." Malaysian businessman Tan - who had fallen out spectacularly with previous manager Malky Mackay before the Scot's departure in December - revealed he had been advised in the summer following Cardiff's relegation from the Barclays Premier League to dispense with Solskjaer's services. "Ole was hired by Cardiff City on our understanding and belief that he would help us fight relegation from the Barclays Premier League," Tan told the club website. "Unfortunately that did not happen. After the club was relegated many people advised me to let him go, but I decided to keep Ole on for the Championship season. "Regrettably our recent results do not justify Ole's continued role as manager at Cardiff. "Ole has therefore decided to step down and I have accepted this. "During my short association with Ole, I have found him to be an honest and hard-working professional, but unfortunately the football results were not in his favour. "I wish Ole the very best in his future career in football. We now begin the process of finding his replacement and working towards giving all our stakeholders in Cardiff City the results they deserve." Wales defender Danny Gabbidon, who returned to the club as a player-coach earlier this month, and Scott Young, another former Cardiff player now coaching in the academy, will take charge of the team for the league trip to Derby on Saturday. Cardiff have already been linked with Dundee manager Paul Hartley and Welshman Tony Pulis, who is currently out of work after leaving Crystal Palace last month. But both men appeared to distance themselves from the post on Thursday, with Dundee insisting that 37-year-old former Scotland midfielder Hartley would be staying at Dens Park. "Regarding the recent speculation and reports out of England. The club would like to confirm that manager Paul Hartley has long term plans to stay at Dundee Football Club," said a club statement. "Paul is committed to the club and is looking forward and focused on the upcoming derby matches this week. "As a club, we are not surprised that speculation linking Paul to other clubs has come up due to the fantastic job he continues to do at Dens Park. "The club and Paul see the solid foundation which has already been put in place as the beginning of a long- term plan which will see Paul at the helm of the club for years to come." Newport-born Pulis, by coincidence, was at a Kuala Lumpur hotel owned by Tan doing a Q&A for Malaysian TV. His interviewer, Belinda Chee, wrote on Twitter than Pulis told her "he has never been approached by Cardiff and that he would prefer to stay in the premier league". Former Cardiff player Craig Bellamy has also said he would not be interested in the job after revealing that he turned down the chance to manage the club when Mackay was sacked. Asked on BT Sport's Clare Balding Show what his answer would be if Tan was to ring him and ask him to manage Cardiff, Bellamy - who retired from playing in May - replied: "No, certainly not. "Look, I had the opportunity at Christmas to do it. When Malky left, they offered it to me then. "Whether it was part-time... I didn't really give them the chance to get into too much of a conversation. "I'm not right for the club at this present moment. They need to go in a different direction and the club's not right for me at this present moment. ".